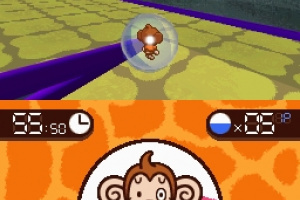 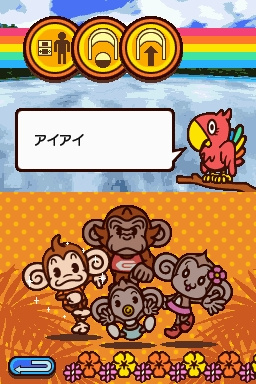 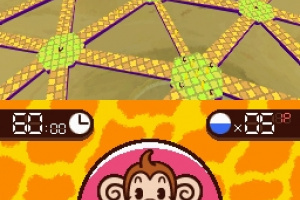 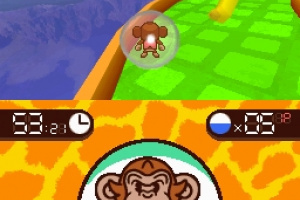 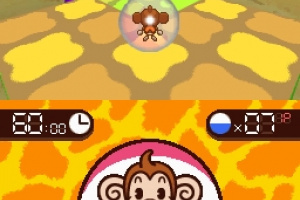 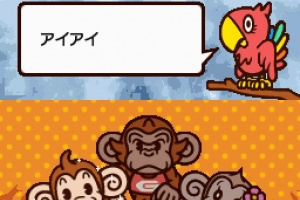 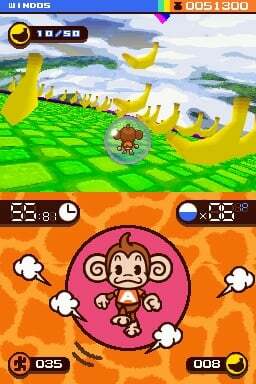 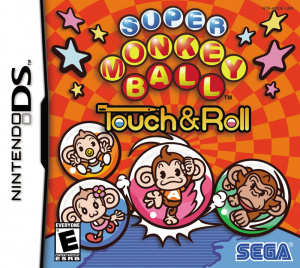 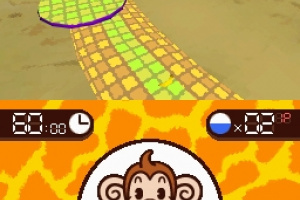 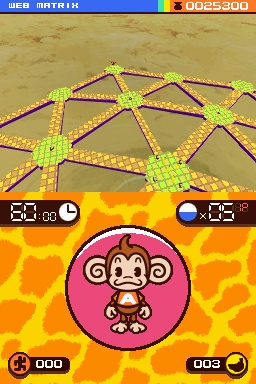 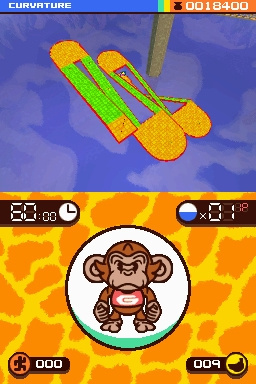 Sorry, no review of Super Monkey Ball Touch and Roll yet. 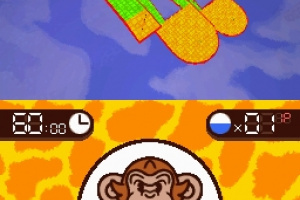 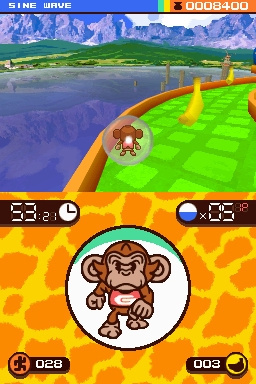 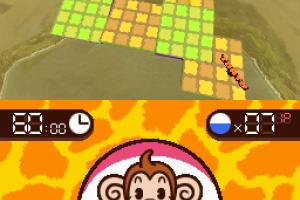 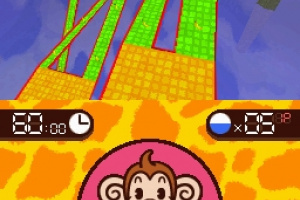 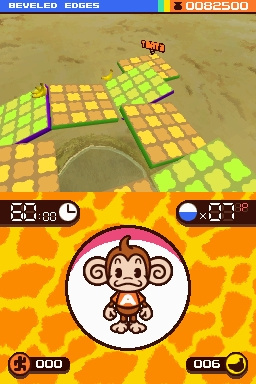 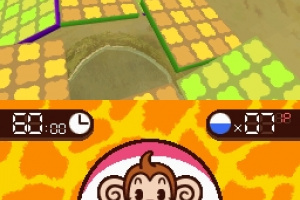 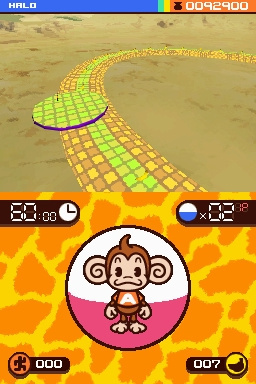 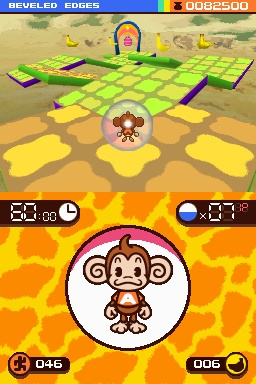 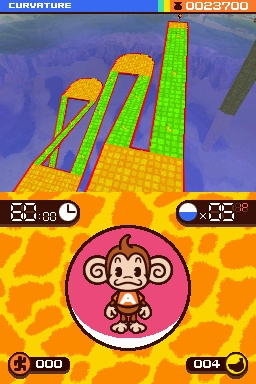 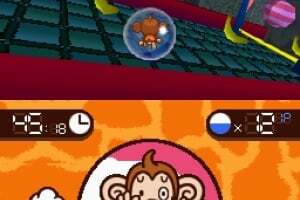 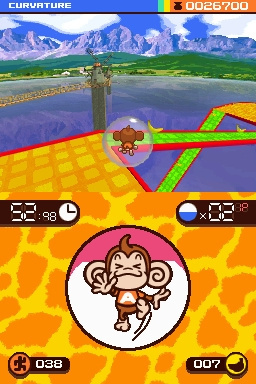 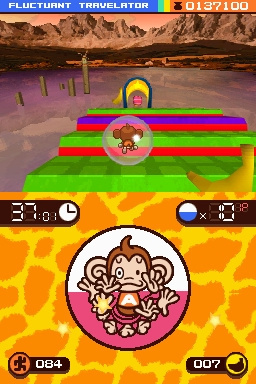 Roll the monkey ball around with the stylus or Control Pad to reach your goal and unlock new worlds. 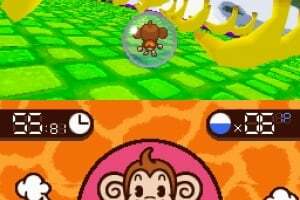 Play straight through the worlds and stages from easy to hard, or go to Practice Mode to rehearse the levels you find the most difficult. 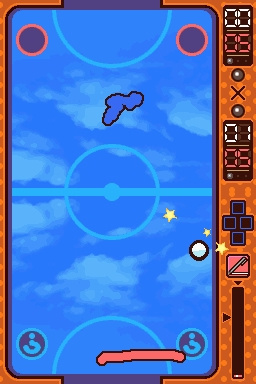 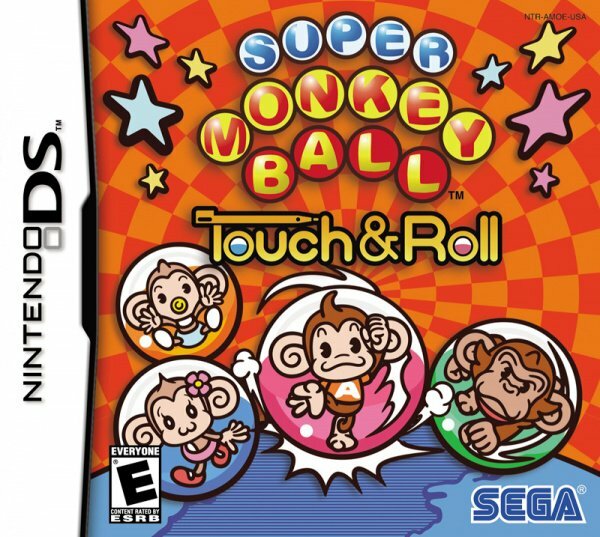 "Super Monkey Ball Touch & Roll offers bite-sized gameplay that's perfect for handheld gaming," said Scott A. Steinberg, Vice President of Marketing, SEGA of America. 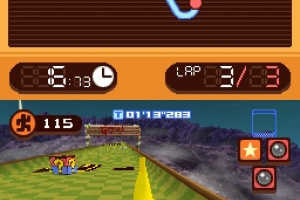 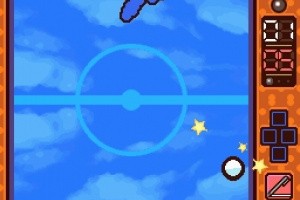 "The Nintendo DS touch screen allows for fluid, pin-point control, making this an ideal platform for the series." 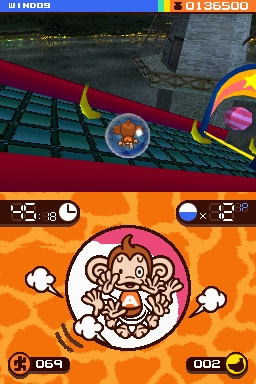 Those mad monkeys boast a total of six games in Party Mode for both single and multiplayer platforms. 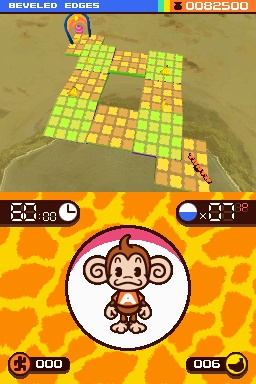 Challenge your friends to a Monkey Race or box your way to victory in Monkey Fight. 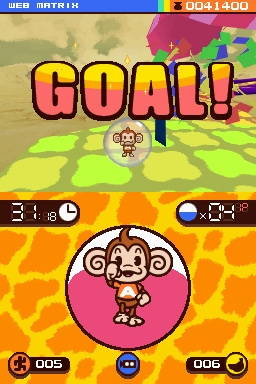 And, nothing can be more satisfying than hitting a hole-in-one on Monkey Mini Golf or striking 'em down with Monkey Bowling. 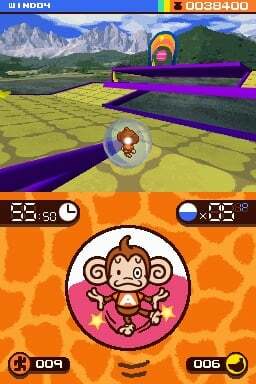 Exclusively for the DS system, are two brand new party games – Monkey Hockey and Monkey Wars – which will ensure that the monkey mayhem never stops! 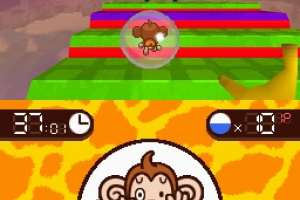 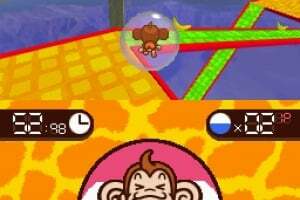 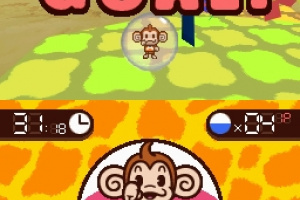 looks really cool i've always been a fan of super monkey ball!! 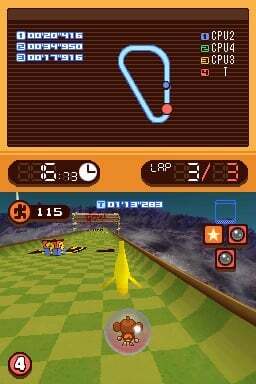 @Marioid I'm bad at this game, but I reckoned it was fun.